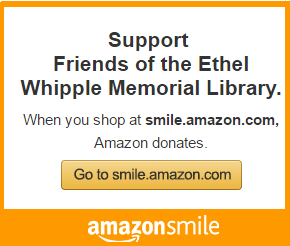 It is my pleasure to welcome you to your community library, The Ethel L. Whipple Memorial Library. My staff and I look forward to helping you achieve your information, education, and recreational reading needs. It is our goal to assist our community in any way possible in being better informed. Please let us know how we can help you.